I would highly appreciate if you could give some feedback about Nomadphp or say something about Cal Evans, when responding. The time for that session is at 8p.m CDT / US Time, but you can use this handy time conversion to know the exact time for your country. For example, for me in Mauritius (GMT+4), the time is 6.am on Friday 20th – on day after, but early morning! Aaand What Is This About, Remind Me? 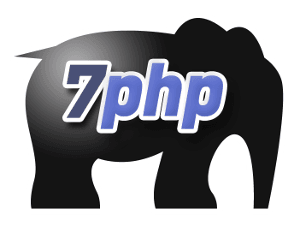 NomadPHP is a great initiative. One thing that I feel is when you prize the money and compare a country like India, the rate is huge. Not just to get a ticket, but a true feedback I have wished to send him by Email. That’s a great opportunity to learn more about HH, which brings us new possibilities to the PHP world, for sure! Thank you Sara for sharing your knowledge, the NomadPHP and to Khayrattee for another great chance to enjoy this priceless fount of wisdom. Hari & Davi, both of YOU won the tickets! Ticket code has been emailed to both! Congrats & thanks for your participation! Hari you won one ticket in here too, the other winner is Bud Manz!